Today the western-most school in the Yelm district is Southworth Elementary and it is the latest in a number of schools that have been located at that site. In the 1890s the Lindstrom school was probably located there. 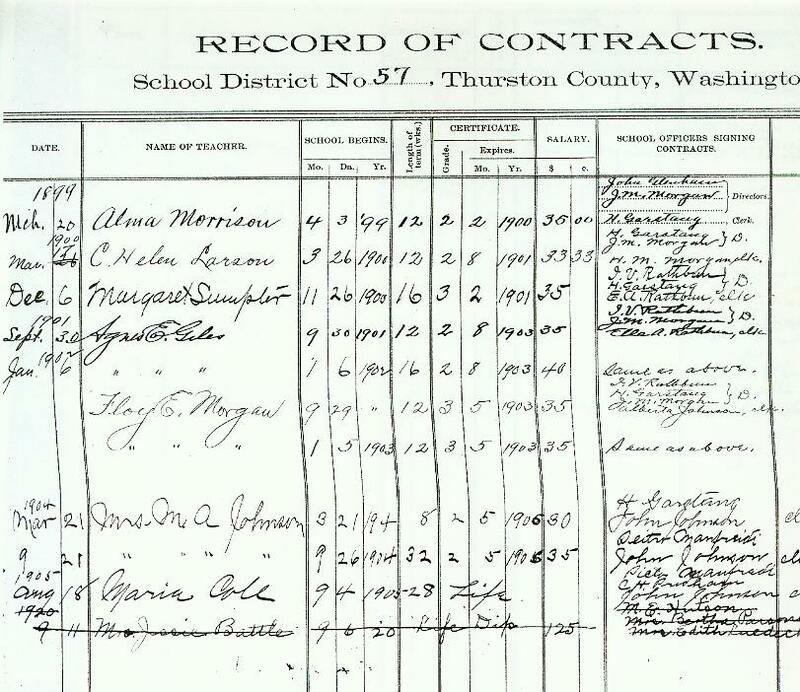 The Story of Yelm identifies two other schools west of town, Wells and Rathbun-Morgan. 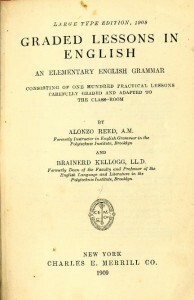 Possibly these are all the same school, but known by different names during their use. 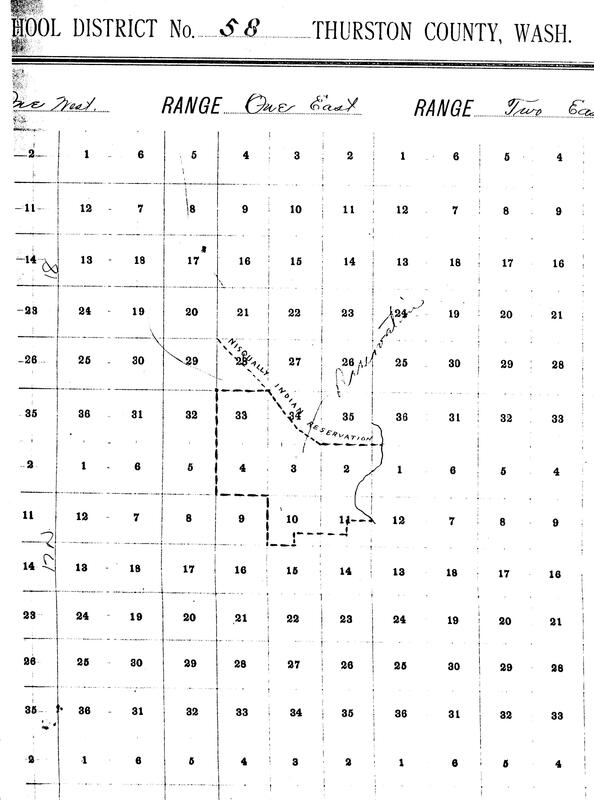 In 1906 the Lindstrom District absorbed the district (#58) west of it. District #58, alternately referred to as the Reservation or Butler’s Cove District, would have been located along the Yelm Highway between Southworth Elementary and the Red Wind Casino. One community served by the Lindstrom school was the Union Burn area. The Union Burn was located in what is now the Ft. Lewis military reservation. West of town and south of the Red Wind Casino, the Union Burn was home for a number of farmers and loggers and their families. 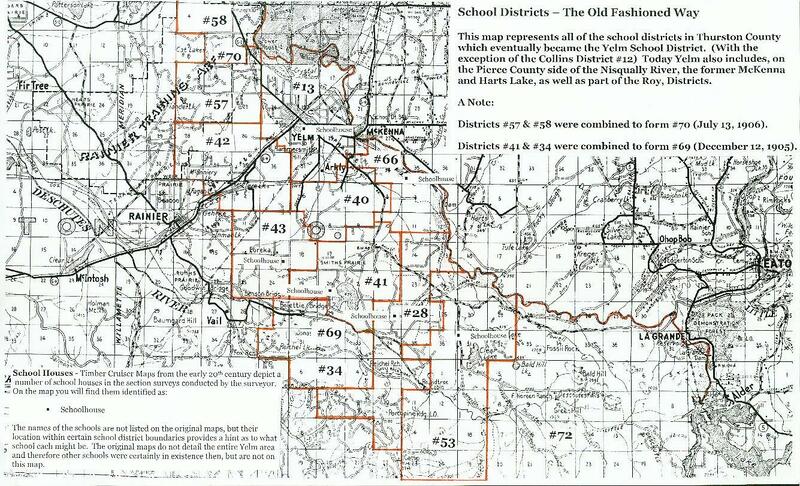 The fact that District #58 was sometimes referred to as the “Reservation” District implies that Nisqually children might have attended this school. 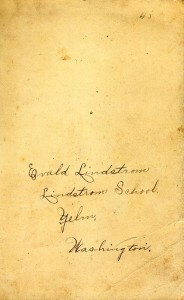 The Lindstrom school takes its name from Gustaf Lindstrom. 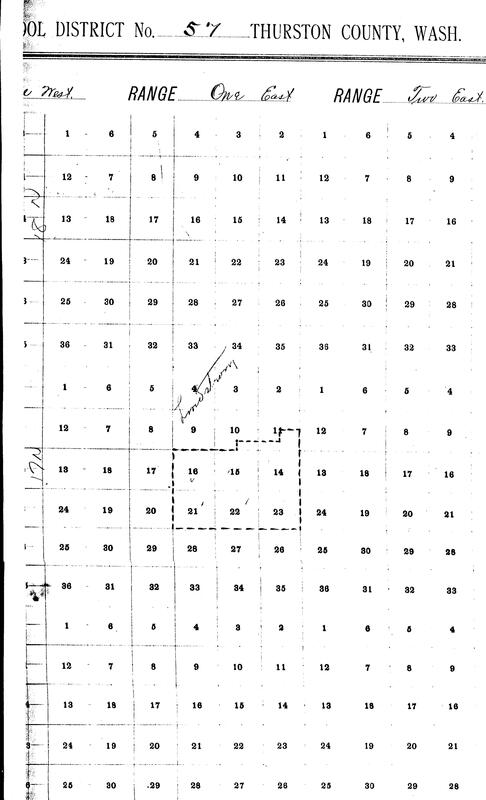 Lindstrom ran a lumber operation west of Yelm and had a house located near where the Centralia Power Canal powerhouse is now located. 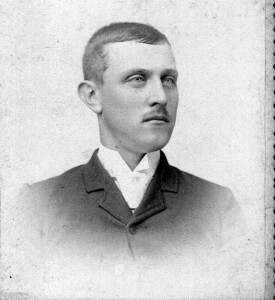 Lindstrom also served as clerk for the school district that bears his name from 1906-1920. One of Gustaf’s children, Evald, attended the school. 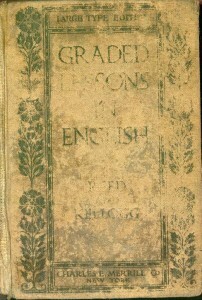 One of Evald’s textbooks, Graded Lessons in English, 1909, is in the possession of his grand-daughter Emily Neat Carter. Graham “Ikey” Wood attended the Lindstrom school in 2nd grade. In an interview in 2003 Wood recalled the schoolhouse. Like so many schools of the era it had a bell. The bell served a practical purpose. Today, the time, is standardized. Radio and television programs start at specific times. Radio shows regularly announce the time. Clocks on our “cable boxes” all show the exact same time. 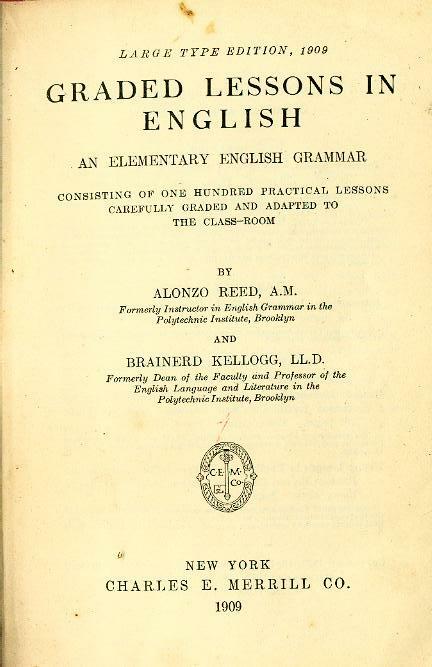 How different it was in the early 20th century. Certainly few children wore watches and clocks at home were set to a hodge-podge of times. The piercing sound of bell in the morning beckoned the children. There was a wood stove in the middle of the room which supplied heat. As was common in the era, children fetched the wood. Wood recalled being delivered to the school in the morning in a horse and buggy. 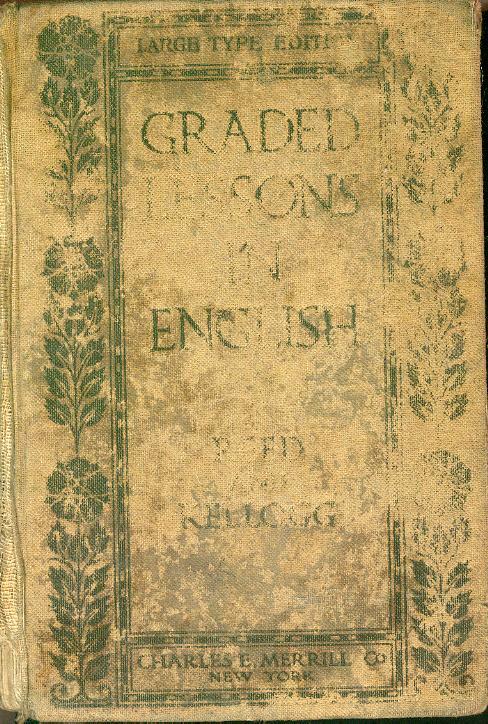 The school served first through eighth graders. 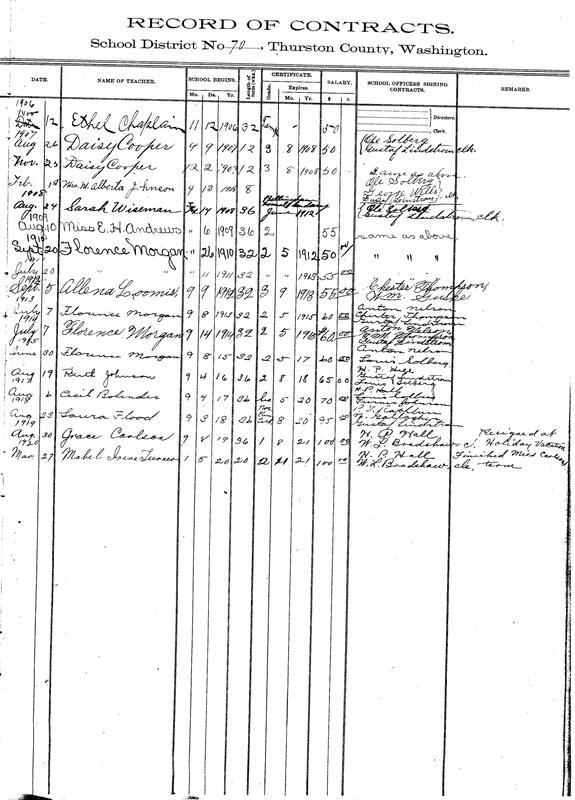 Graham Wood could not recall any of his teachers, but earlier historians always associated W. Alberta Johnson with Lindstrom. 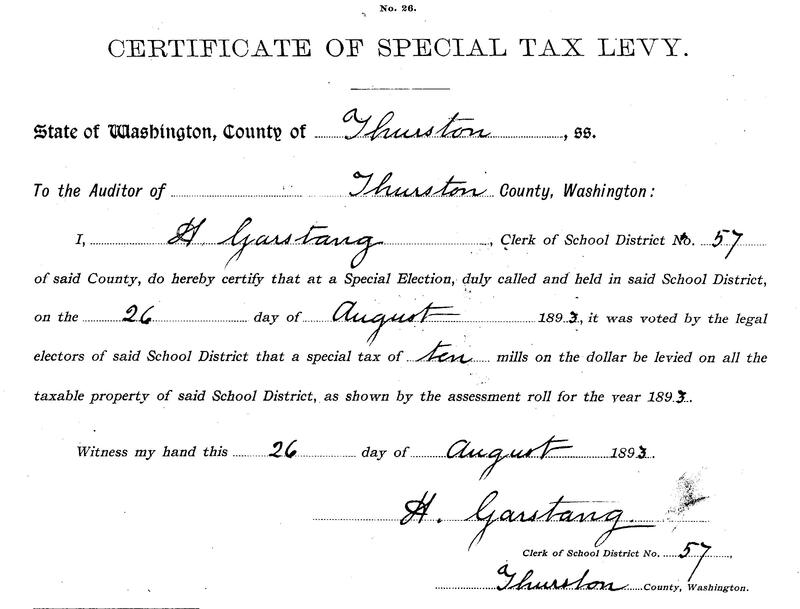 County documents show that she worked at Lindstrom for at least one year, in 1906. Described as a “very superior woman,” she was associated by The Story of Yelm with the Lindstrom, Wells, and the Rathbun-Morgan school. This may further indicate that those names apply to one school at a particular place. Considering the population of the area it is hard to imagine three different schools operating in the area. A little is known of the fate of the Lindstrom school. Graham Wood stated that it closed sometime in the 1920s. 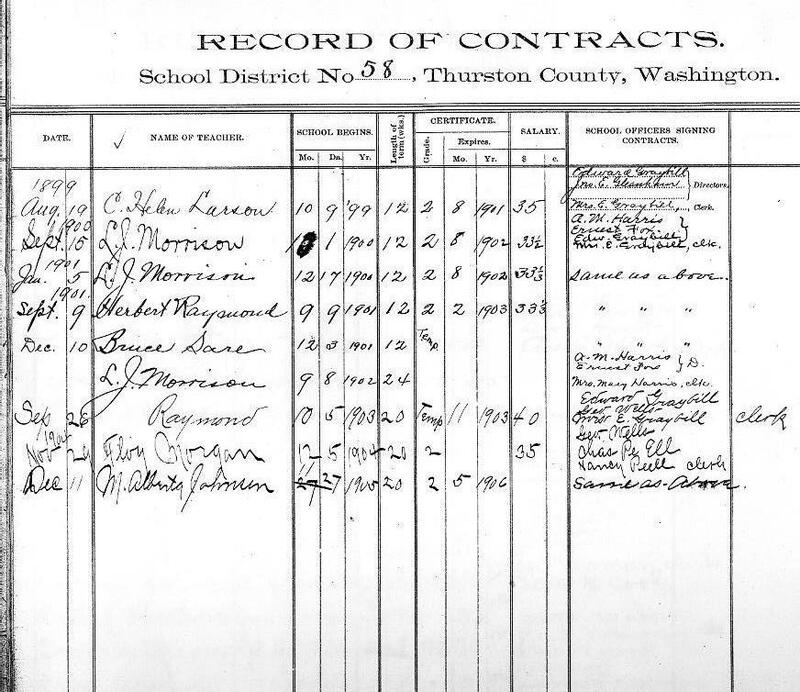 The Yelm District consolidated with other schools in 1921. Perhaps Lindstrom was one of those districts. What happened to the building after that is uncertain. If was truly located at the site of Southworth then its remnants are lost forever. 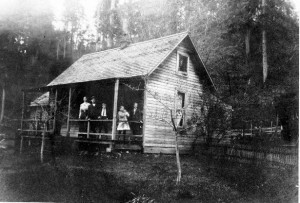 If, on the other hand, the school was indeed located a mile and half off the Yelm Highway, its surviving wooden remains might be found covered in bramble, forgotten in time. High honors in the last spelling contest were won by the schools of North Star, Lindstrom, McCallister Spring, and Summit Lake, Count Superintendent Goss says in his monthly letter to the teachers of the county, each of these schools scoring 100 per cent in each grade.